CNBC Tracks the Big Business of Girl Scouts! Girl Scouts will be featured on CNBC and the Nightly Business Report on PBS today. 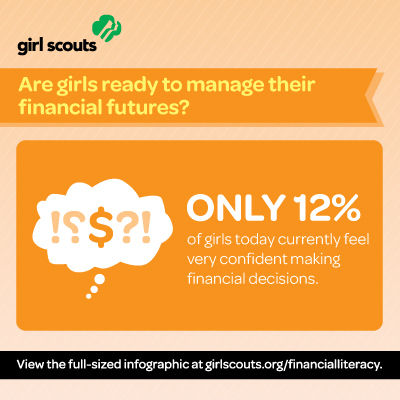 In fact, the Girl Scout Cookie Program and the Girl Scout Research Institute's Having It All: Girls and Financial Literacy were the focus of a roundtable discussion on CNBC early this morning - clip below! CNBC will air another segment on Girl Scouts at 2:15 p.m. ET. Nightly Business Report will also feature a segment during its newscast, which airs in many markets at 6:30 p.m. ahead of the PBS NewsHour. (Please check your local listings for broadcast times.) All of this is great exposure for our financial literacy study and the Girl Scout Cookie Program!